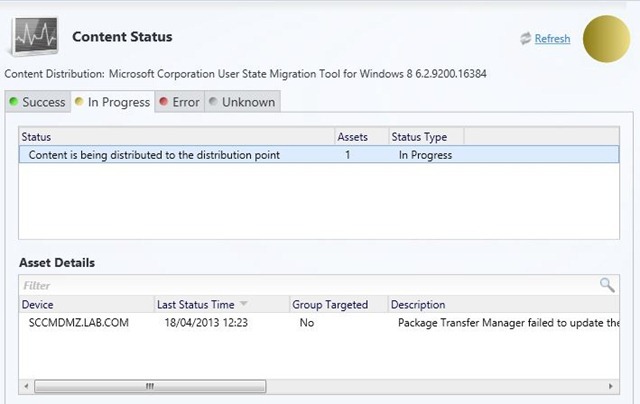 One of the great features of Microsoft System Center Configuration Manager 2012 SP1 is the ‘Pull distribution point’. 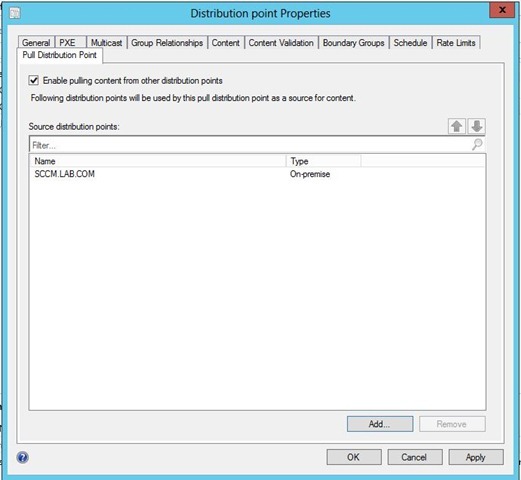 This allows you to specify certain distribution points (DP’s) in your Configuration Manager environment to pull content from others. You can specify multiple source DP’s for your pull DP which will give you a little more control over your traffic and where it goes. There are lots of uses for this facility but probably the most typical use may be if you have slow links to your primary site DP but a better link to an alternative DP. 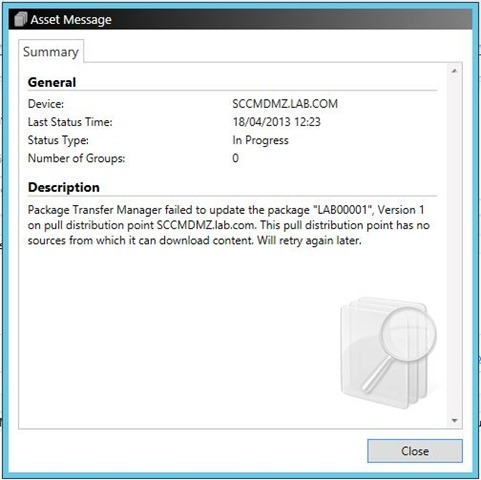 So DP2 will only get content distributed from DP1 therefore easing the load on the 4Mb link between SCCM1 and DP1. It might sound a little obvious but you need to have multiple DP’s in your environment before you can do this and you can’t do it on a Primary site server DP, the required tab simply doesn’t show. If you want find out how to get your build number, see this technet link. Go to properties of the DP you would like to become a Pull DP and you will see a tab named “Pull Distribution Point” as below. Now you can simply tick the box to “Enable pulling content from other distribution points” and click the Add button to select the source DP(s) of your choice. Simple really. 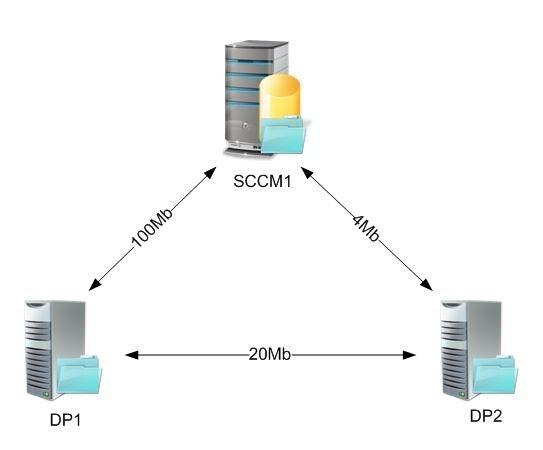 In my lab setup SCCMLAB is my primary site server and DP and will become my source DP, SCCMDMZ is just a DP and is going to be my PullDP. I’m not going to go into the fine detail but you should know what to expect and how to handle pull DP’s so you might wonder how this actually works. Will it automatically pull content? What’s to stop you distributing content to your Pull DP from your console? Firstly, nothing changes in the way you do anything in the console. Going back to my example, if you distribute content to DP1 it won’t automatically pull and it won’t make it’s way over on a schedule to DP2. 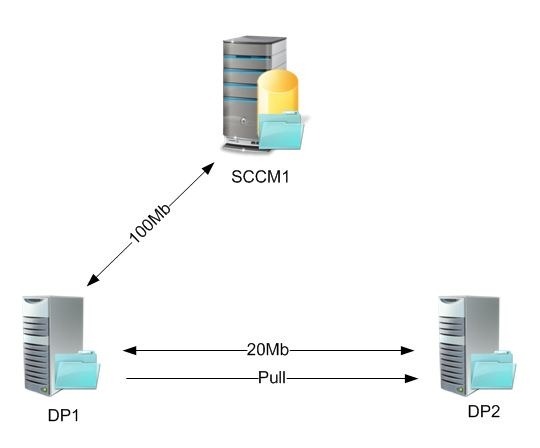 You still need to distribute the content to DP2 as you would prior to having a pull DP. You just need to remember that if the content isn’t on DP1 (source DP) then it will never get to DP2 (pull DP). So you can see that it is looking for the content on it’s source DP, but I haven’t yet deployed it there. Now once I deploy the content to my source DP we should see the “In Progress” change to “Success”. You can either wait for the retry to kick in or redistribute the content to your pull DP. 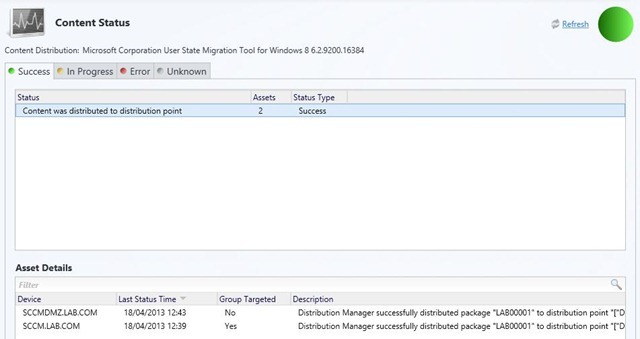 That just about covers everything you should need to know to get started with Pull Distribution Points in Microsoft Configuration Manager 2012 SP1. Let me know if you have any thoughts questions etc.